M1's 3Q17 results largely in line. 9M17 core EPS at 71% of our and 76% of Bloomberg consensus' FY17 forecasts. Mobile service revenue rose 3.4% yoy (+0.6% qoq) in 3Q17. Fixed services revenue remained robust, up 20.0% yoy (+4.2% qoq). EBITDA margin fell 0.7% pts yoy due to higher mobile SAC and increased revenue contribution from fixed services. We forecast core EPS to ease by 9.7%/21.9% in FY18F/FY19F as competition heats up upon TPG’s expected service launch in 2H18F. Maintain Hold, with an unchanged DCF-based target price of S$1.80. 3Q17 EBITDA rose 2.9% yoy (+2.6% qoq) on higher service revenue, while opex was mostly flat. 3Q17 core EPS rose a stronger 5.1% yoy (+0.5% qoq) mainly due to lower effective tax rate (ex-reversal in 3Q16 for tax over-provision in past years). This more than offset higher depreciation and net interest cost. 9M17 EBITDA/core EPS largely met expectations, at 73%/71% of our FY17 forecasts (Bloomberg consensus: 75%/76%). After nine successive quarters of yoy decline, mobile service revenue (78% of total) grew 3.4% yoy (+0.6% qoq) in 3Q17. This was mainly due to postpaid revenue which rose 5.4% yoy (+0.8% qoq), driven by Circles.Life’s contribution and higher subs data usage. Prepaid revenue fell 13.2% yoy (-1.3% qoq) due to lower voice revenue. Prepaid subs fell 41k qoq, while postpaid net adds was a mild 5k qoq. M1 deactivated 14k/47k inactive postpaid/prepaid lines in a review of its subs base following its 2G network shutdown. Fixed services revenue (16% of total) continued to grow, up 20.0% yoy (+4.2% qoq) in 3Q17 on the back of a higher fibre customer base (+6k qoq) and contributions from corporate projects. 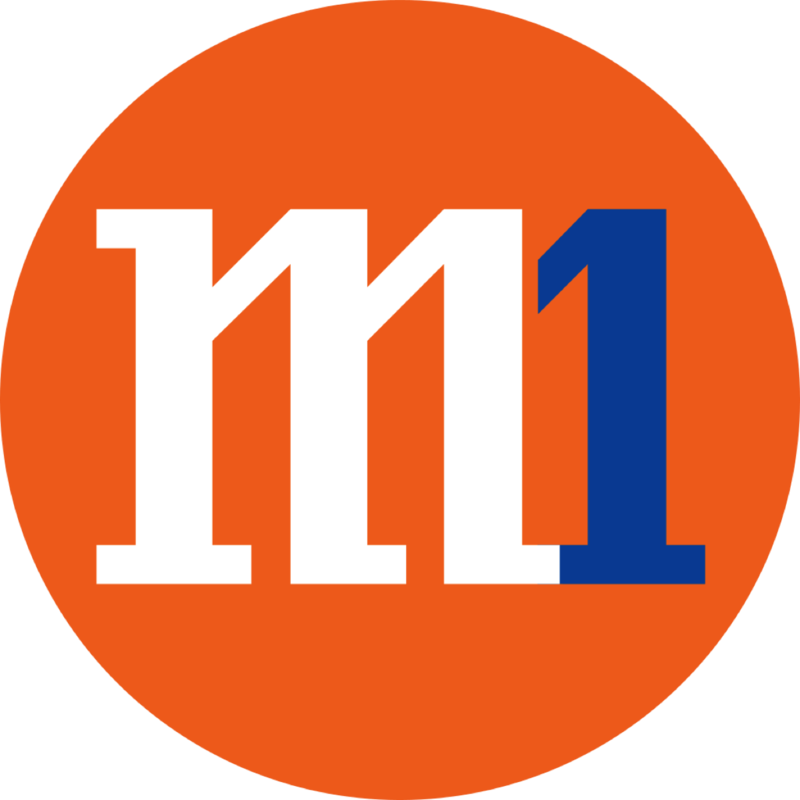 M1 says the corporate segment formed 10% of its customer base and 47% of its fixed services revenue in 3Q17 (3Q16: 51%). higher fixed services contribution to the revenue mix. This was cushioned by other cost items, which saw their proportions to service revenue largely steady or lower yoy during the quarter. For FY18F, we forecast service revenue to ease by 0.6%, led by a 2.5% decline in mobile as competition starts to heat up around TPG’s expected service launch in 2H18F. We then expect service revenue to decline by 2.6% in FY19F, with a bigger 5.1% drop in mobile revenue due to the full-year impact of competition from TPG. Correspondingly, we forecast EBITDA/core EPS to fall 3.8%/9.7% in FY18F and 6.7%/21.9% in FY19F, on the back of lower revenue and higher marketing spend. We maintain our Hold rating, with an unchanged DCF-based target price of S$1.80 (WACC: 7.1%). We believe M1’s share price now better reflects the competition risk from TPG. M1’s 12.9x FY18F EV/OpFCF is at a 25% discount to ASEAN telcos; we think this is fair given the possible decline in earnings. A good entry point would be below S$1.47 (bear case), and a good exit point above S$2.14 (bull case). Key upside/downside risk: better/worse-than-expected impact from TPG’s entry.